A family, social or business meeting that will be remembered is worth being organized in an extraordinary space where unique design gives priority to nature. We invite you to the exquisite Panoramika Cafe located on the highest floor of the Grand Hotel, which owes its name to the amazing views that can be admired through its windows. The stylish, modern interior was designed to provide a comfortable and friendly atmosphere for guests to relax and socialize. 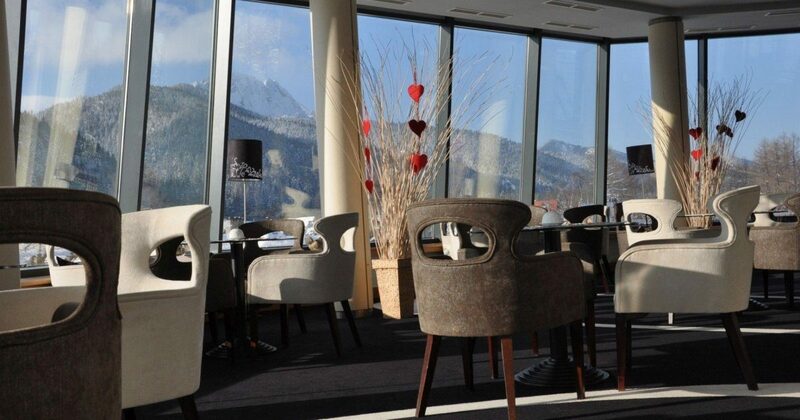 Try the excellent menu items of the café, enjoying the stunning views of the Tatra Mountains outside the windows.